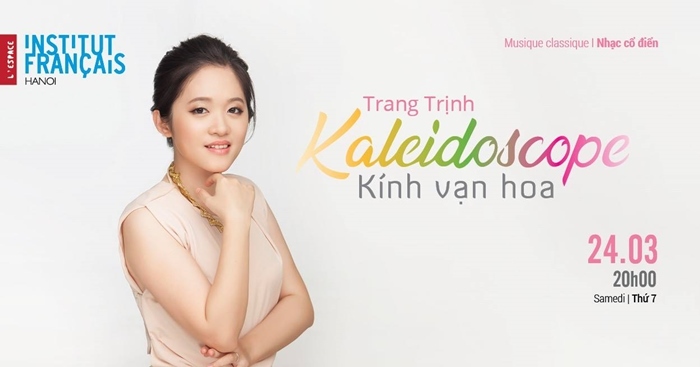 Featuring the talented pianist Trang Trinh. 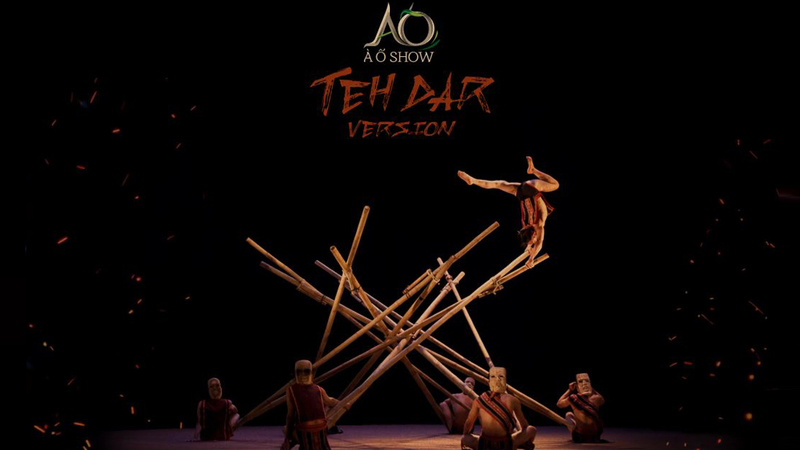 Performances of: twelve variations of ‘Ah! I will tell you, mother’ by Wolfgang Amadeus Mozart, Francis Poulenc’s ‘Varied Piano Theme’, Franz Liszt’s ‘Danse macabre’, and many more. 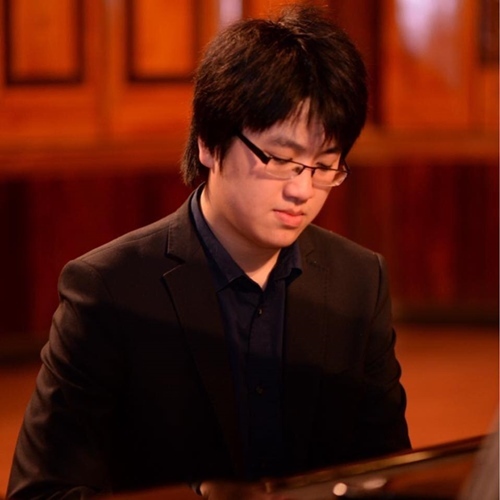 Conductor: Jonas Alber, Piano Soloist: Luu Duc Anh, and the Vietnam National Symphony Orchestra. 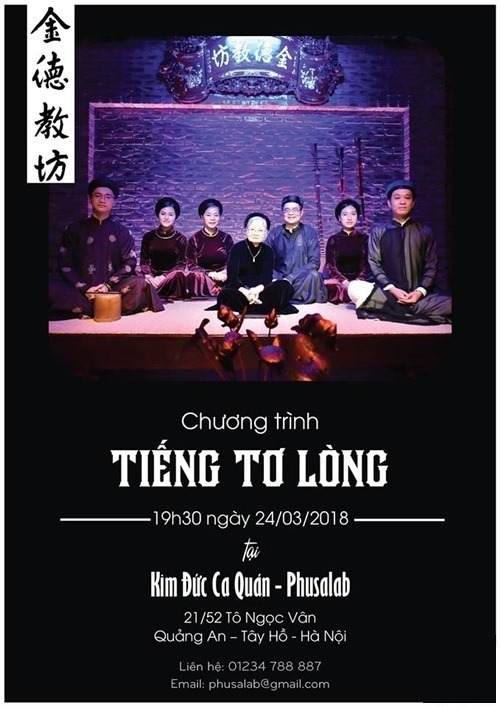 A Ca Tru (Vietnamese ceremonial singing) performance with the theme “The voice within” by Ca Tru master Pho Thi Kim Duc, the daughter of Pho Dinh On, who was the manager of a famous Ca Tru troupe in Kham Thien District, Hanoi, at the beginning of the 20th century. Kim Duc began learning how to sing at the age of 7 and embarked on her singing career at 13. 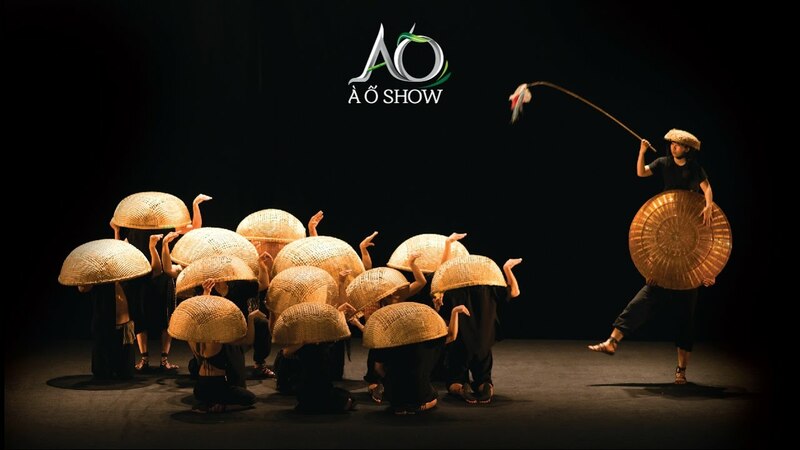 Introducing optical illusions and impressive acrobatics, paired with traditional music performances by a troupe of talented local artists. Showcasing paintings of women in natural settings by artist Van Duong Thanh, which were created with a combination of Vietnamese and Western techniques. Globalization has changed the rural landscapes and caused individualism to flourish in urban areas in Vietnam. From the wreckage of old residential areas, new buildings arise. Someone’s hope is rising from someone else’s sadness. The exhibition “Midway” by photographer Duy Phuong records the tangled emotions that were born out of the urbanization process in Vietnam. 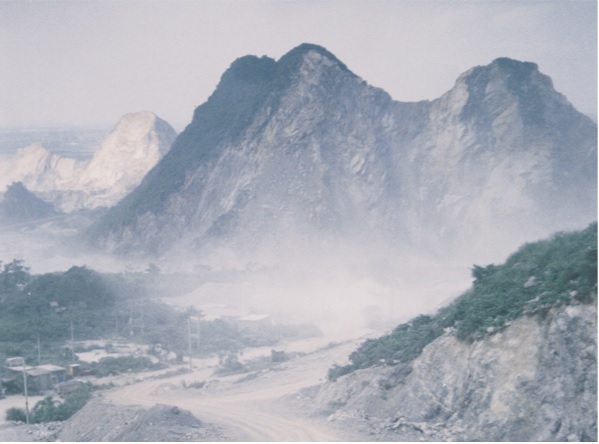 A solo photography exhibition of Nana Chen, a Taiwanese artist. Introducing an ongoing photographic project in Ho Chi Minh City, Vietnam, where the artist currently resides. 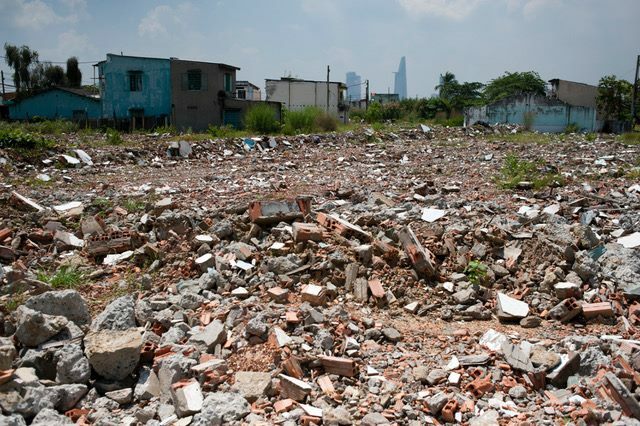 Looking at urban change and displacement, DISCARDED seeks to document the debris left behind by inhabitants when they evacuate their domiciles. From these images, one contemplates the remains of once-lived lives amidst the rapid urban transformation. A collection of Son’s comprehensive work that spans several years of research and acute observation. In 2008 Son took a 5-year leave of absence from his teaching duties at the Vietnam Fine Arts University to procure his masters in photography at CAFA, Beijing, the leading art institution in Asia. 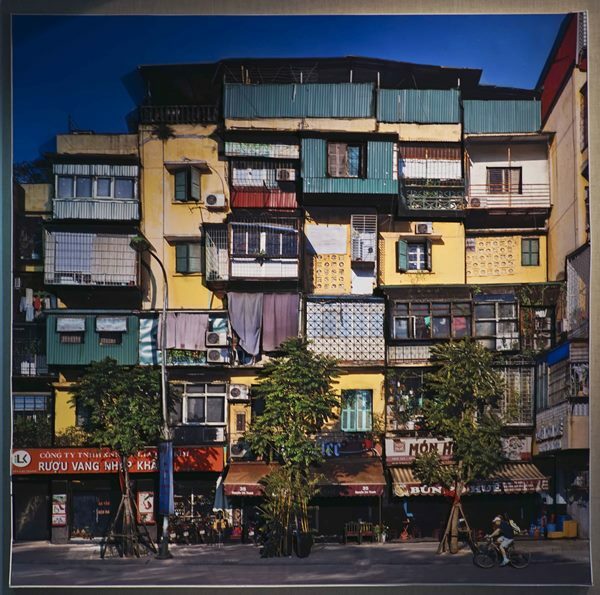 There Son developed a series of three dimensional photographs depicting the rapid development in Vietnam that are not only innovative but also thought provoking, challenging the viewer to examine this transformation and its effect on the society. For the first works in this series Son created works of the precious street frontage of the quintessentially narrow Vietnamese house known as a symbol of power and prosperity, the Nha Mat Pho (house facing the street). 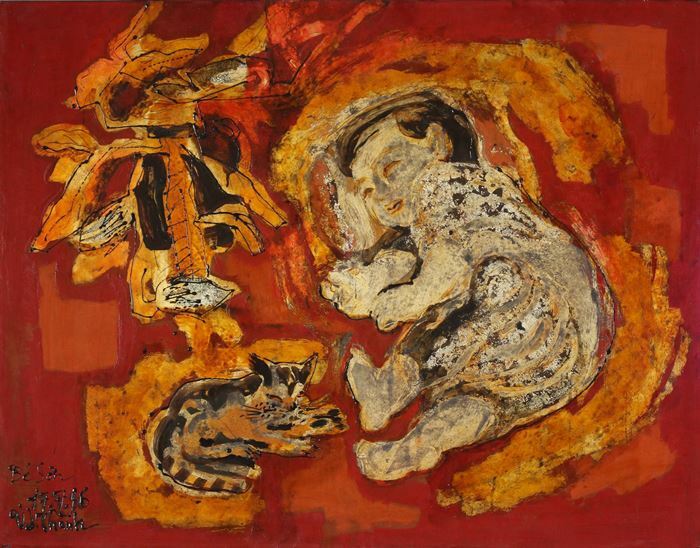 For this Nha Mat Pho photo relief series Son was awarded the talent prize at the prestigious Central Academy of Fine Arts Master’s Program in Beijing in May 2012. Son continued this work with his Nha Tay Transforms series of the French villas built over 100 years ago and their current transformation, following with his Nha Tap The series, a collection of 60s, Soviet styled apartment blocks. Introducing the characters of the literature masterpiece “Diary of a Cricket” by the late Vietnamese author To Hoai, with 3D pop-up illustrations, figurines and original sketches. The illustrations were created by many generations of artists including Ta Huy Long, Ngo Manh Lan, Truong Qua, Thanh Chuong, Vu Xuan Hoan and Dau Dua (Dau Thi Ngoc Vinh). The exhibition is Hanoi-based artist Tuấn Mami’s first-ever solo show in Ho Chi Minh City. 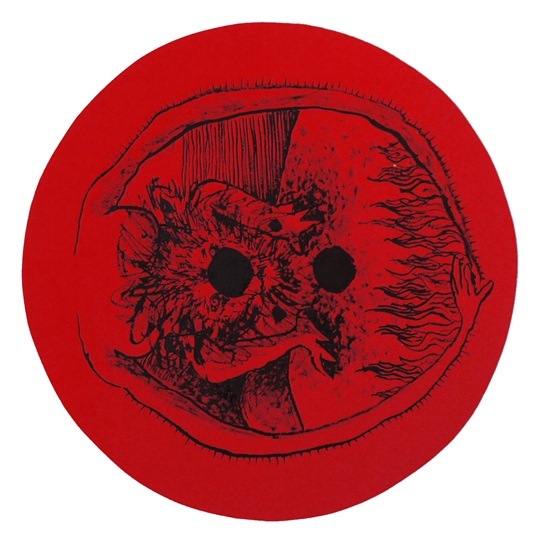 The project is inspired by the ancient Muong epic ‘De Dat De Nuoc’ (‘The Birth of Soil and Water’), from which emerges a belief that there is spirituality in all beings, that the creation of the world is constantly in a state of chaos where humans struggle to cohabit harmoniously with other creatures, and especially with themselves. Introducing works by 11 Vietnam based artists: Nadege David, Do Thanh Lang, Ha Manh Thang, Hoang Duong Cam, Hoang Nam Viet, Le Hoang Bich Phuong, Sandrine Llouquet, Nguyen Huy An, Nguyen Manh Hung, Nguyen Quang Huy, and Trong Gia Nguyen. The geological term ‘alluvium’ – embodying a sense of movement – refers to the sedimentary matter washed ashore by flowing bodies of water. A selection of documentaries that lead to reflection on environmental protection and propose sustainable alternatives. 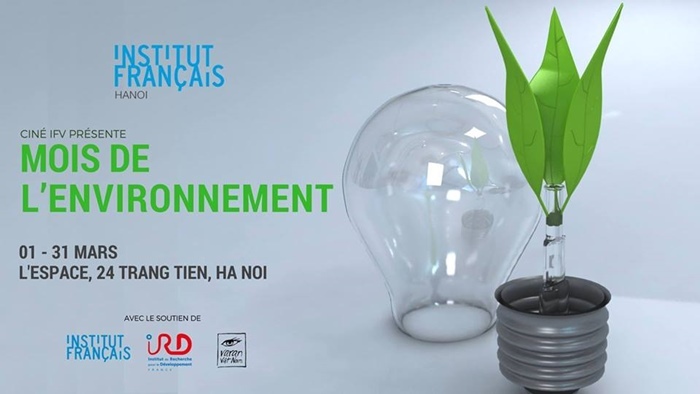 Since ecology, global warming and the effects of political decisions on the environment are the themes that pique audiences’ interest, during March, film lovers will get to discover many sustainable initiatives that have been implemented in several countries. It will also be an opportunity to meet and discuss with several environmental activists.